"One night, in the winter of 2009, we were watching TV in our house, huddled under blankets. We kept saying to ourselves, “why is it so cold in this house.” It always seemed as if a window was left slightly opened. We could actually feel air moving, but had no idea where it was coming from. Then we looked up…. “It can’t be coming from the air conditioning vents, could it?” we thought. After all, they were closed. Much to our surprise, when we got up and felt the vent, there was indeed a cold draft coming through. We couldn’t believe it! After much research and development, a few magnets and some spare plastic in the garage were meticulously crafted together to form the first prototype. The cover worked perfectly and Elima-Draft was born! Our flagship product is our Insulated Magnetic Register Cover…the cover that started it all! Made of durable ABS plastic, they magnetically adhere to steel and aluminum registers alike. These covers can be used not only to add energy efficiency to your home, but also as an air diverter for rooms used less frequently. These insulated covers are a dual threat to heat loss, blocking cold drafts from coming though, while keeping your existing heat in where it belongs. Our Allergen Relief Filtration Covers are perfect for allergy sufferers, dramatically reducing the amount of dust, allergens, and mold in the air; all while providing a careful balance of effectiveness and efficiency by not restricting air flow. Our latest line was developed in the spring of 2015...a line of vent covers designed to fit 24" x 24" vents in commercial settings like offices, restaurants and retail stores. Our slogan is “Finally…A Solution!” This came from the vast number of customers who have said this to us! 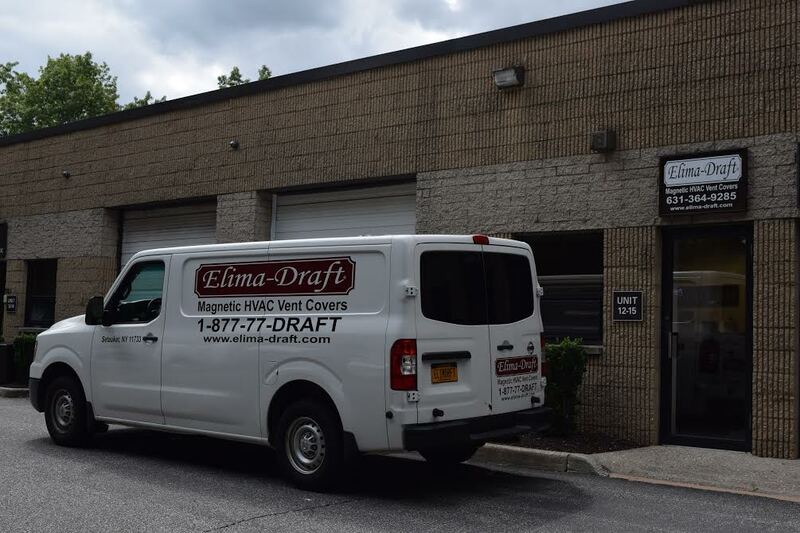 It’s something that Elima-Draft stands for, as we are always looking for innovative ways to improve the comfort of our customers. Please have a look through our website. We’re confident you will find one of our products to fit your needs and improve the comfort level of your home or business; and if you don’t, please do not hesitate to contact us! If you like us, please share! Elima-Draft is committed to providing our customers with products made of the highest quality, construction and design at affordable prices. We strive to make homes and businesses more comfortable and energy-efficient.